Selling a house can be a daunting task. Even though attracting buyers is perceived as the toughest task during the selling process, negotiating and handling offers is equally nerve-wracking. Every homeowner wants the highest possible price but most buyers are working with limited budgets. They want the best bargains. 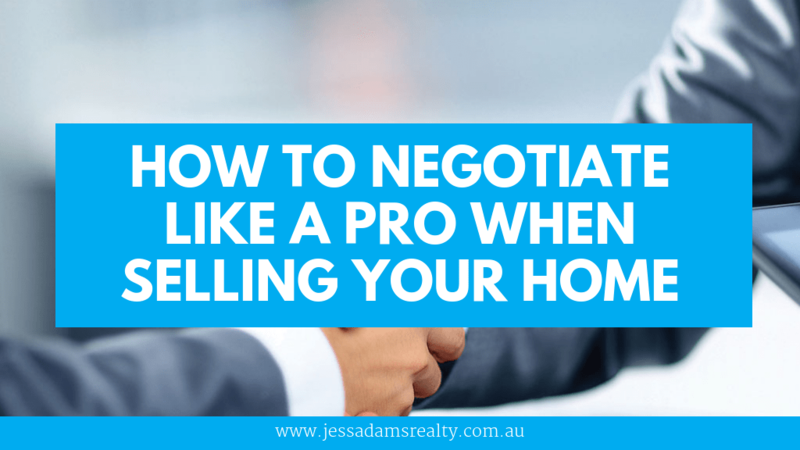 The negotiation process can make sellers very uncomfortable, especially if they lack necessary skills, but you need to be able to negotiate like a pro to get the best deal when selling your home. Negotiating is a balancing act. If you push too hard, you might lose the best offers and if you don’t bargain, you might leave some dollars on the table. It pays to have an experienced professional agent by your side. A good agent knows when to close the deal and when to make a counter-offer. In this article, we discuss simple tips to help you negotiate like a pro. You cannot negotiate like a pro if you don’t price your house appropriately. You need to know what to expect from buyers. This can only be achieved by conducting thorough research. By comparing your property to others in the same location, you’ll be able to come up with a realistic price which serves as the basis of your negotiation. Buyers will only be willing to pay slightly higher than the market price but they will definitely not pay double or seemingly exorbitant amounts. When pricing your property, consider the location, season, property features and market trends. Also create a competitive edge, such as a maintained garden, patio or front yard. It all narrows down to convincing the buyer that you are offering value for their money. Human beings are naturally competitive. They don’t like to lose out on a good deal and often, they will go out of their way to win when there is competition. You can establish an upper hand by initiating competition. First, you can create a sense of urgency by informing each buyer that there are other interested buyers that you are negotiating with. This makes them feel as though they might miss out on a good home if they do not pull up their socks. You could also impose simple standards on your buyers. Often, sellers feel the pressure to impress the buyers but this can be reversed with ease. The buyer should also feel the need to impress you. They should know you are looking for the perfect fit for your home. They also need to prove to you that they can take care of the place you once called home and that they deserve it more than the other interested parties. Some sellers establish this kind of competition by showing a preference for buyers with certain family compositions. In a nutshell, when buyers feel the need to impress you, they will up their financial game to beat other offers. There are two types of agents; those who want to just make a sale and those who aim for the highest sale. The first type of agent is desperate. They lack confidence in their skills and they will probably let you down. They do not have your best interest at heart, as they are just interested in their commission or agent’s fee. You definitely do not want to work with this type of agent. The second type, however, is an expert. They understand buyer behavior and are more inclined to negotiate for higher prices. They will consult with your rather than defend low bidding buyers. Therefore, when choosing an agent to work with, consider their qualifications, experience and track record. Remember to ask the right questions in order to confirm whether the agent has managed to sell above the market price before. This will help you avoid losses and frustrations during the actual sale. Buyers can easily sense a distress sale. Even though you want your home to sell at the end of the day, you cannot afford to appear desperate.You have to consider the possibility of not selling or failure to attract the right prices. When you find yourself attracting low prices (or no offers at all) you need to rethink your decision to sell. It could be the wrong season in the property calendar or your home could be poorly staged for a sale. Therefore, before staging your home consider other options such as renting out the place or waiting a little longer until the season is ripe or until the right buyer comes along. Approach the selling process with a winning attitude. If you put your house up for sale hoping to just get rid of it, you will definitely attract unpleasant offers. Remember, it’s all about how you brand yourself. You can choose to be an ordinary seller willing to take the average market price or a distinguished homeowner with standards and expectations. With these five simple tips, you’ll be smiling all the way to the bank after the sale. If you’re looking to sell a property in the Great Southern of Western Australia – consider Jess Adams atrealty. We have both Albany Real Estate Agents and Denmark Real Estate Agents on staff who are ready to negotiate the deal & get the best price for your property. Fill out the form below to learn more about what we could do for you today.